4 payments of $95.96 to be paid over the next 4 months (1 payment due each month) to pay the remaining balance. 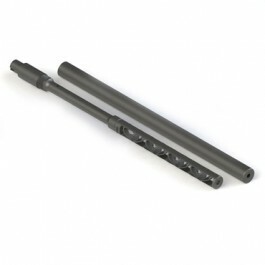 The Gemtech Mist-22 is an integrally suppressed barrel for the Ruger 10/22 and 10/22 Takedown. It provides superb suppression of the popular 10/22 rifle, without the added length of a more traditional suppressor.